Okay, the words “voting” and “bylaws” do not elicit excitement. However, being a Paralegal is exciting. Even better is that Texas Paralegals have the most professional and supportive association in the Paralegal Division. So the Paralegal Division is asking for some of that excitement from their very own members. It is time for an election, but it is also time to vote on a bylaw change. Voting on a bylaw change is not nearly as boring as sending in your proxy to your mutual fund. Your understanding of the proposed bylaw change, and your ultimate vote helps to direct the Paralegal Division in the way the members want it to be directed. This year, there is a proposed change to Article VI of the Bylaws. Article VI defines, in part, the location of the Paralegal Division’s annual meeting. So, even if this is not of the utmost important to you, it may be to a lot of other people. That means your thoughts through your vote are important. Equally and more important, is your time and consideration in voting for District Directors of the Division. The Division has some very hard working and dedicated paralegals that volunteer their time and efforts so that the profession and your career can grow. The Paralegal Division is holding an election for both a Bylaws amendment and election of dis­trict directors to the Board of Directors in odd-numbered districts (Districts 1, 3, 5, 7, 11, 13, and 15). Active members of the Paralegal Division in good standing and listed on the official records of the Paralegal Division of the State Bar of Texas no later than two weeks prior to the date of any election are eligible to vote. All voting must be completed on or before 11:59 p.m., April 12, 2013. Active members in odd-Districts are eligible to vote for both the Bylaws amendment and a District Director. 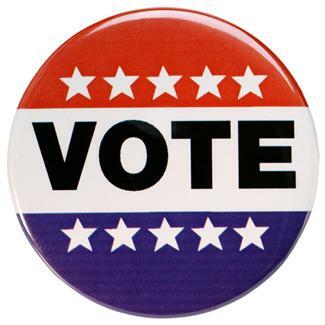 Please take a few minutes to logon to the PD’s website under Members-Only area and cast your vote for the Bylaws amendment and/or district director (odd-numbered districts vote in 2013). The process is fast, easy, anonymous, and secure. You must sign in with your USER ID (membership number) and Password (first five letters of your last name in all lower case). Once you have signed in, you will be able to vote. TAKE THE TIME, MAKE YOUR VOICE HEARD! This entry was posted on March 29, 2013 at 9:03 pm	and is filed under Uncategorized. You can follow any responses to this entry through the RSS 2.0 feed. Both comments and pings are currently closed.